OK, so I once again can’t find the “reblog” button on a website, but I have to tell you about some delicious stuff over on Brenda’s site, GF And Me. I don’t know Brenda or Geoff personally, but I do get her blog posts. According to the site, they live in Red Deer, Alberta, Canada. All I know is it’s north of Dallas, above the Mason-Dixon line, and it’s cold. My friend Shelley on Facebook tells me how cold it is up there; she’s nice like that. Holy Shish Kebab. 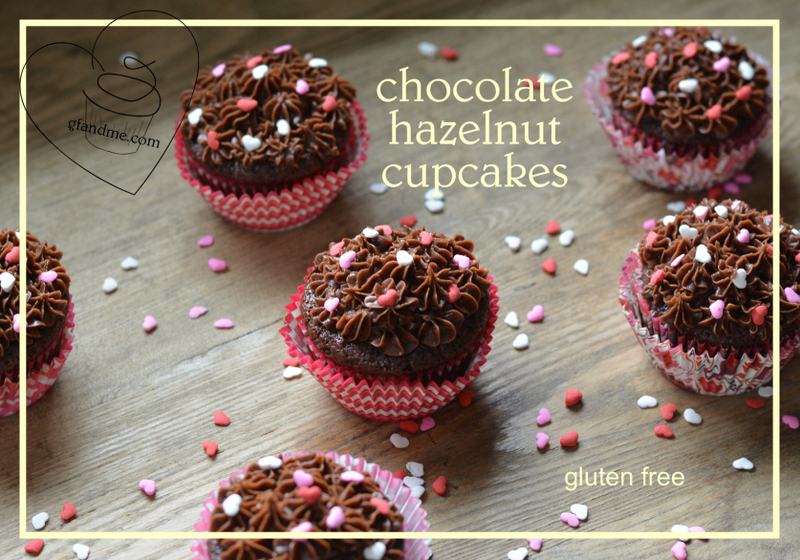 Chocolate Hazelnut Cupcakes with Nutella frosting. If you don’t believe me, go back and read that again. Even if it wasn’t gluten free, I’d still be panting over the chocolate AND hazelnut AND Nutella in one place. If you’re not familiar with the combination of chocolate and hazelnut, well, that’s a shame, please go try it. They go well together, just like chocolate and raspberries. And as I’ve often told people like Neighbor K, if there’s chocolate and raspberry to be had, I’ll knock you over to get to it. Brenda also has links to other recipes in this blog post, such as a very dark chocolate cake, a GF sponge cake you can make in the microwave, and even GF Ferro Rocher. How’s THAT for cleaning it up? Because Brenda does more recipes than I do, if you want to find something tasty and GF that I’ve not written about, cruise on over to GF And Me. (You can use the search function on my site to find recipes on HeatCageKitchen as well.) You can find the recipe for THOSE cupcakes at this link. Brenda’s V-Day post from last year is available here. I think I reblogged that one, too! You know you want some. And yes, so do I. If I try them, I’ll let you know what happens. Happy Chocolate, I mean, Valentine’s Day! Thanks so much for the kind words! Sorry about the reblog button but it disappeared when I stopped hosting with wordpress and I haven’t been able to get it back. And yes it’s cold here – currently snowing and about -10 degrees Celsius.